Prophetic: “relating to or characteristic of … prophecy” (Webster’s Dictionary). Hold on to your prophetic hat; the winds of war are blowing stronger than ever. The conflict between Israel and Iran is heating up even more! On January 20st, 2019, Israel launched a massive (daylight) airstrike on Iranian and Syrian military installations near the Damascus airport. At last count the death toll stood at 21, twelve of those fatalities Iranian. This barrage was in response to an Iranian missile fired at the Golan Heights, aimed directly at an Israeli ski-resort on Mount Hermon. Fortunately, this large missile was shot down by Israel’s Iron Dome Defense System. Which prompted Syrian envoy to the United Nations, Bashar Al Ja’afari to threaten a possible Syrian attack against Ben-Gurion Airport in Israel. Iran is resolutely committed to Israel’s destruction, the sooner the better … another ominous sign of the last days. Which has little to do with the global outcry for a two-state solution or the soon to come seven-year treaty between Israel and Islam … for now. But will have a great deal of relevance after that treaty, because there will be a (remarkable, but temporary) cessation of overt hostility between Israel and Iran and between Israel and the Palestinians. Anyone who knows just a little about Iran’s ongoing threats to annihilate Israel, understands that any peace agreement or even semblance of reconciliation between Iran’s radical Islamic regime and Israel’s democracy is more than just unlikely. It’s impossible in today’s world. But today will soon become tomorrow’s Day of the Lord; triggered by the Rapture, followed almost immediately by reappearance of the Antichrist beast and his seven-year treaty. And not long afterward by the Gog/Magog invasion of Israel led by Iran, Russia, and Turkey. The Gog/Magog campaign will take place after and only because of this treaty between Israel and (mostly) Arab nations. A solution that the whole world deemed impossible. Turkey and Iran are Islamic countries, but they are not Arabic. However, both nations will at least tolerate this treaty because they won’t be able to do anything about it (at the time of the treaty). Webster’s Dictionary defines impossible: “felt to be incapable of being done, attained, or fulfilled; insuperably difficult; hopeless.” In today’s vernacular: No way. Here is an excerpt from Eye of Prophecy article, Diplomacy with Israel Despite Anti-Semitism … A Puzzling Paradox (posted 1-12-19), the most recent of several prior articles regarding both the seven-Year Treaty and the Gog/Magog invasion against an unprepared Israel as a result of “peace” guaranteed by the treaty. …This treaty will be almost as astounding as Nero’s return from the grave (Abyss). It will be an agreement that the entire world sought after but couldn’t achieve just a short time before. I’m convinced that even President Trump’s “deal of the century” (whenever his staff reveals it, as it has again been delayed due to early Israeli elections to be held April 9, 2019) between Israel and the Palestinians will fail. It will be rejected by one or both sides; if accepted, it will fall apart soon thereafter. Scripture is clear that it will be Antichrist who arranges this (seven-year) treaty; albeit it one that Nero himself will break. …Except for those who will see through this Messiah-imposter and not be so amazed by his reappearance (because they knew who he would be ahead of time! ), the world-at-large will be dumbfounded by this impossible treaty. If Nero (anyone) could single-handedly bring peace between Jew and Arab (the essence of the treaty) and an unheard-of calm in the Middle East, then peace would be possible throughout the earth. For there could be no greater treaty than between the longest lasting foes known to mankind … Jews and Arabs. Likewise, any (pre-Rapture) agreement between the Israelis and Palestinians is equally unachievable. However, the world at large doesn’t see it that way for two (main) reasons: (1) Heads of states and even geopolitical experts don’t fully comprehend the real underlying issues; not the least of which is the ancient Arab hatred of the Jews, which has morphed into the present-day Muslim loathing of a Jewish nation on earth. 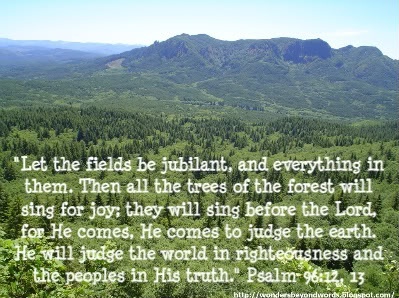 (2) They don’t know or care to know what the God of the Bible has to say and what he will do about these matters. The true and living God whose hundreds of prophecies have come to pass and more last days predictions that will happen just as surely. Globally, there is an intense focus on and incessant demand for what is commonly referred to as the Two-State Solution for Israelis and Israel’s non-citizen (by choice) Palestinians. Flying in the face of reality, the two-state solution is nevertheless the political jousting frequently heard from the United Nations, the European Union, the Arab League, NGO’s, and common citizens. Even from those, including many celebrities, who know virtually nothing about the origin (history) or contemporary facts-on-the-ground details of the Israeli/Palestinian conflict. Those (and there are many) who promote such a proposal do so with the misguided assumption that if the Palestinians are granted their own state, there would be: (1) peace within Israel and throughout the Middle East, and (2) no more or at least reduced Arab/Muslim hostility toward Jews—within and outside Israel. No matter that the Palestinians have four times rejected offers that could have resulted in a Palestinian state. First—the Balfour Declaration of 1917; Second—UN Partition Resolution 181 in 1947; Third—then Israeli Prime Minister Ehud Barak’s offer in the year 2000 of some 95% of the West Bank (including what is referred to as east Jerusalem) to the Palestinians in exchange for peace. Fourth—an even more (ill-advised) generous offer from Israeli Prime Minister Ehud Olmert in 2008. Although my first book O Israel (published September 2007) is classified as a futuristic novel, as the setting is just before and after the Rapture, it is based on Biblical prophecy, history, and current events in the Middle East. Events that are as relevant today as twelve years ago. One of the more captivating chapters (author’s opinion!) of that book concerns the seven-year treaty orchestrated by the Antichrist between Israel and Arab nations surrounding Israel as well as with the Palestinians within Israel. Here is a list of concessions made by both sides; that were “influenced greatly” by the Antichrist regarding the same issues which are paramount to this very day. As you can see, up to this point of the Israeli Prime Minister’s address to the nation—his fictional name is Ilan Rosen—there were four Arab/Palestinian concessions compared to five from the Israelis. However, Ilan deliberately (with the ploy to create suspense) saved the best for last … the fifth concession of the Palestinians and Arabs world-wide. Here is the excerpt from O Israel describing that (impossible) agreement, with Ilan’s words in quotation marks and the entire closing scene in italics. “Ladies and gentlemen… Both sides to a treaty can be stubborn, especially in the beginning negotiations and sometimes until the very end. This treaty would not have been possible without one additional miracle” (Note: the first miracle mentioned earlier in his speech was the rebirth of Israel as a nation). Barak stood with Netanya near the back of the crowd, his arm around her waist. He had begun to withdraw his arm for another round of applause. Paralyzed by Ilan’s words, his body froze. With Netanya and the entire crowd, his jaw dropped. Religious or secular, for or against a rebuilt temple, it did not matter. Israel gasped as such a tremendous accomplishment, both real and symbolic. The bewildered crowd exploded in jubilation. All of Israel joined them with shouting, laughing, weeping, and dancing. Loud cries of ‘Praise God’ erupted from the chief rabbi, who had leaped from his chair only a few feet from Ilan. Soldiers began to sing. Politicians praised their prime minister with a symphony of continuous adulation. An orthodox rabbi jumped in the air. He pointed in the direction of Temple Mount, fell to his hands and knees, and kissed the ground. Children screamed in delight. A young liberal rabbi did a backflip. Then another one. Cars and busses screeched to a halt, doors flung open, and occupants pranced around their cars with outstretched arms. From every building in Israel, the celebration spilled into the streets. 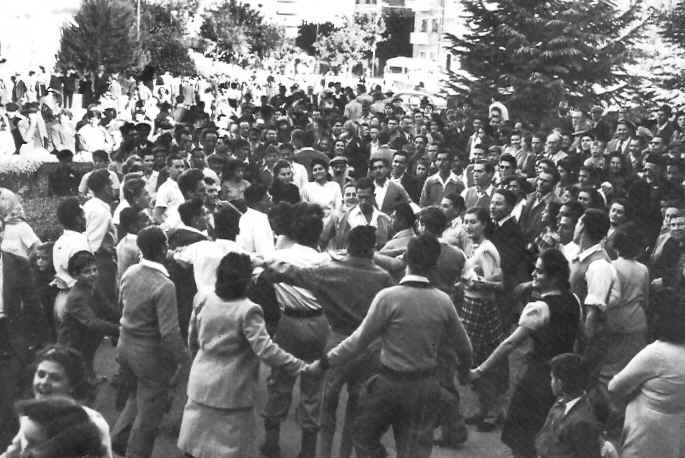 People held hands and danced in circles to the right. Circles within circles danced to the left. They struck beautiful chords of harmony as they sang, ‘Hava Nagila.’ Strangers hugged and kissed. The orchestra had become a concert ensemble, replete with singers and dancers. Like floodwaters from a breached dam, cascading chants filled the air. Such rejoicing had not been heard since Israel achieved statehood. Some would say not since the Exodus (O Israel, Chapter 19, pages 185-186). (1) All Palestinian refugees remaining from Israel’s 1948 War of Independence (when Israel was attacked by five Arab nations and some 700,000 Arabs fled Israel—most at the demand of the Arab armies) PLUS their descendants, who are not officially refugees at all by United Nations’ definition of refugee, have the right of return to Israel. Please see Eye of Prophecy articles: Palestinian Refugees … Are They Really Refugees? (Posted 1-27-18). 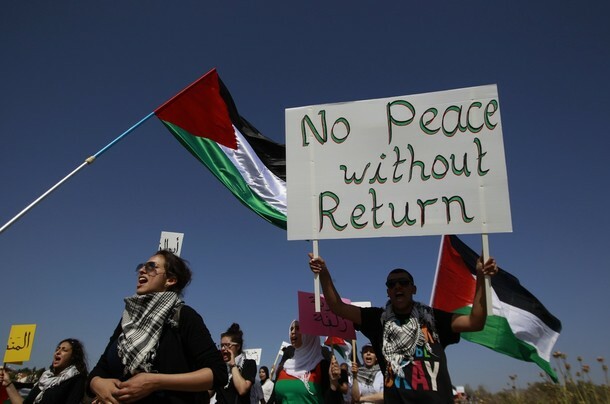 And, The ‘Right of Return’ … For Palestinians or Jews? (4-7-18). (2) East portion of Jerusalem to be separated somehow (logistically … virtually impossible) from West Jerusalem with East Jerusalem as the capital of the Palestinian State. Which, as these demands now stand, are also off the table with the Israelis. Although Israel might allow the original Arab refugees still alive (estimates vary, but around 20,000) and a limited number of their children (2nd generation) to return, there’s no way that Israel will permit Jerusalem to be divided. Nor should they, despite pressure from virtually the entire world, possibly even the United States … if President’s Trump “deal of the century” calls for a Palestinian state capital in (so-called) east Jerusalem. When in fact the Palestinian capital could and should easily be placed in Ramallah—the current headquarters of the Palestinian Authority. The ONLY reason why the Palestinians want a capital in the eastern section of Jerusalem is because Israel’s capital is in Jerusalem. West Jerusalem according to the Palestinians and most of the uninformed world. But to Israeli Jews … Jerusalem. Period. Is Then, A Two-State Solution Possible … Even Feasible? Not now. Not until a 2,000-year old Roman Emperor reappears to a chaotic world after hundreds of millions are taken from this earth. The irreconcilable differences between the Palestinians and Israelis—especially concerning refugees and capitals—are but the bottom half of the iceberg. The iceberg tip has begun to increase in size, one that would be as much of an obstacle to the two-state solution as the lower half. I’m referring to the widening ice-cold expanse between the Palestinians themselves. How can there be a (one) Palestinian state when the Palestinian Authority wants it in the West Bank and Hamas in the Gaza Strip? Even if they agree geographically, they’re not even close politically. Who will run the government? If the Palestinians returned to the negotiating table with Israel, which of these two groups would represent them? What would it take for the Palestinians to agree on the boundaries (location) of their own state? That’s like asking what it would take for water to naturally flow uphill. The nearest that the Palestinians have come to identifying such boundaries are the cease-fire lines drawn after Israel soundly defeated the Arabs in the Six-Day War. As a reminder, Israel reclaimed all of Judea Samaria, all of Jerusalem, the Gaza Strip, the Sinai Peninsula, and most of the Golan Heights in that stunning victory. Then relinquished much of these areas back to Egypt, Jordan, and eventually the Palestinians, i.e. Gaza in 2005. Whatever boundaries both sides might agree to, the Palestinians still have sworn not to give up their “right of return” and East Jerusalem capital demands. If Israel conceded the pre-1967 boundaries (essentially giving back everything won in the 1967 War, reaffirmed by the subsequent victory in the Yom Kippur War of 1973), then Israel’s security would be jeopardized beyond what the Israelis (any country or people) could or would accept. This is particularly true with the Jordan Valley and the Golan Heights. In fact, a Palestinian state anywhere in Israel is not a solution at all. It would create a bigger problem than already exists in any number of areas. For example (one that isn’t even as significant as other disastrous conditions that a two-state solution would cause): It’s a foregone conclusion that a Palestinian State would not preclude lone-wolf terrorists from infiltrating Israel and killing Israelis. As has been the case thus far: after attacking Israelis, some of these terrorists will manage to escape. If they made it back to the confines of a Palestinian State, Israel would no longer be allowed to enter that state to hunt down the murderers. That would be a “violation of a sovereign border.” The likelihood of the Palestinians extraditing the suspect back to Israel would be nil. This and other scenarios (like terrorist cells from other nations entering the Palestinian State borders) would much more likely lead to all-out war between Israel and a Palestinian State. Nevertheless, virtually the entire world subscribes to the illogical premise that a two-state solution would solve the Israeli/Palestinian conflict. AND would alleviate, if not eliminate, nearly all other problems in the Middle East … an even more absurd presumption. What does the civil war in Syria and all other Arab spring uprisings in other Muslim nations like Libya, Yemen, Algeria; or Muslims killing other Muslims have to do with Israel or the Israeli-Palestinian conflict? Or millions of Muslim refugees now in European countries? Or the emergence of one Islamic terrorist group after another? (Most Muslim terrorists’ ultimate objective is to eliminate Israel, but not to “resolve” the Israeli/Palestinian dilemma). Or dissolution discord between the PA and Hamas? About the only thing these two rival Palestinian groups have in common is the destruction of Israel. But they can’t even agree on the best way to accomplish this devious goal. The western and eastern countries of the world are preoccupied with the Middle East in general. However, they are obsessed with Israel and the preposterous perception that a Palestinian State would be the magic formula that would somehow make 1 + 1 = 3. (Another Arab state alongside the Jewish state would bring peace to everyone else, i.e. the 3rd parties of the Middle East). “I must acknowledge the splendid efforts made by all parties, especially by the European Union, and specifically by its president, Juan Iago Castilla. Mr. Castilla mediated the more difficult articles of this covenant. He proposed the most radical compromise—one that your own government did not think to introduce….” (Chapter 19, page 183). That proposal would be the rebuilding of the Jewish Temple, the crowning achievement of the treaty for Israelis. In my novel, Juan Castilla is the Antichrist. As indicated in my second book, Out of the Abyss, I had begun to write a sequel to O Israel, with further development of the character of Antichrist Castilla, when the Lord interrupted this project with a dramatic disclosure (insight) to me. This occurred in November 2008, based on the stunning but plain meaning of Revelation 17:7-8 … the Antichrist beast had already lived and died before John even wrote Revelation! In turn, this led to intensive study of every single passage about the Antichrist. This refitting of the prophetic puzzle based on Scripture plus 1st century church and secular history, challenges the prevailing view that the Antichrist will be a modern-day born man. Although the Eye of Prophecy website (280 articles to date) that I began in July 2013 is much more than just about the Antichrist, many of the 54 articles in the category of Antichrist provide amplified evidence that the Roman Emperor Nero is, in fact, this man; who will reappear from the Abyss to the utter amazement of those left behind at the Rapture. Nero’s astonishing return, combined with the unprecedented (in just the past year or so) improvement of diplomatic relations between Israel and many nations of the world, will provide a climate of conciliation to accomplish the impossible—a treaty between Israel and Muslim nations. As depicted in my novel, this treaty includes Israel’s concession to the creation of a Palestinian State; yet, with conditions. However, with the underlying reservation that creation of such a state wasn’t feasible or even possible; that, at best, it would only be a “paper state” without actual implementation. As indicated, that is true now and will be until the Rapture. This week’s article is based on something that I had not fully grasped before. My emphasis had been on the seven-year treaty that will guarantee peace between the Jews and Arabs/Muslims throughout the entire Middle East. Which it will. However, just a few days ago I more fully realized that the formation of a Palestinian State (two-state solution) will be one of the two critical components of the treaty. An Arab state of their own with boundaries conceded by Israel not thought possible, will be to the Palestinians what the rebuilt Temple will be to the Jews! Next, came the thought that there would (must) be a passage or two in Scripture that I had not considered in the immediate context of a Palestinian State. Obviously, there’s nothing in the Bible that speaks directly of such a state, nor would that be necessary if there were passages which would otherwise clearly make such a connection. In fact, that’s the essence of matching Biblical prophecies that don’t name or identify a specific last day’s development. Instead, we must accurately correlate such events with the prophetic description (language, terms) foretold long ago. Lo and behold. There are such references! Concerning the ten concessions, five by Arabs and five by Jews in this seven-year treaty as depicted in my novel O Israel, all but one was supposition. However, the other nine were reality-based on the prevailing issues between the two sides that have arisen primarily in the past few decades (the end-time generation) and have intensified in just the past year or so. 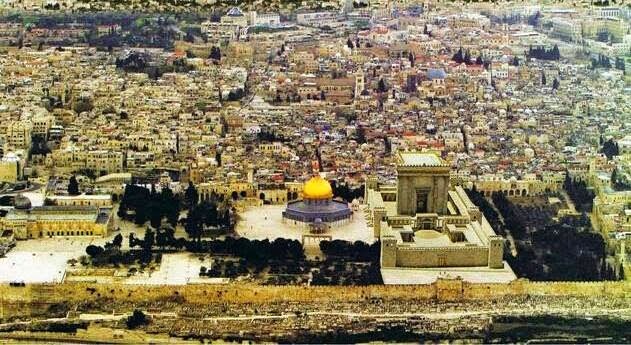 Now there are two that I’m convinced will be a sure thing: The rebuilt Temple and a Palestinian State! With the remaining eight treaty points most likely—to some degree or another—key ingredients of the seven-year treaty arranged by Antichrist Nero soon after the Rapture. The Temple can’t be desecrated unless it once again exists. The sacrifices and offerings can’t begin until the Temple is rebuilt, and they won’t cease until half-way through the treaty. Thus, the treaty will (must) include the rebuilt Temple. Daniel Chapter 11 foretells of Antichrist’s prototype Antiochus Epiphanes IV and rulers of the Seleucid and Ptolemaic Greek/Syrian dynasties created after Alexander the Great’s kingdom was divided into four parts. However, beginning with verse 36 to the end of the chapter, the prophecy switches to the final ruler (Antichrist). We’ll begin with verse 37: “He will have no respect for the gods of his ancestors, or for the god loved by women, or for any other god, for he will boast that he is greater than them all. Instead of these, he will worship the god of fortresses—a god his ancestors never knew—and lavish on him gold, silver, precious stones, and expensive gifts. Claiming this foreign god’s help, he will attack the strongest fortresses. He will honor those who submit to him, appointing them to positions of authority and dividing the land among them as their reward” (Daniel 11:37-39, italics for emphasis). Time/space doesn’t permit elaboration in today’s post; however, much documentation is provided in Out of the Abyss and a few prior articles. I’m referring to more proof that Nero is the Antichrist because he was the one Emperor of his time who placed absolutely no stock in the Roman gods of his immediate ancestors. Much like the agnostic Adolph Hitler, Nero was heavily into art—Hitler as a would-be architect/painter and admirer of classic paintings. Nero as a would-be playwright and poet. 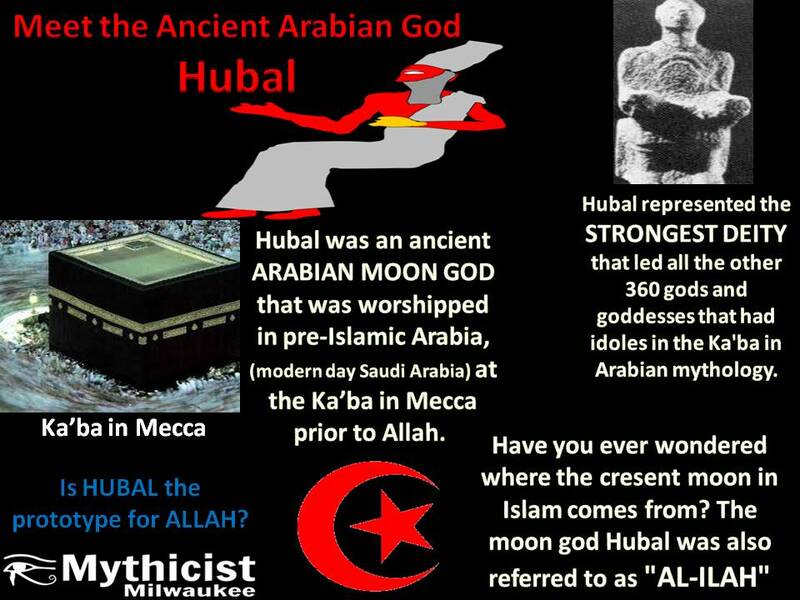 The god not known by his ancestors is the Arabic moon-god Allah—chosen by Mohammed in the 6th century A.D. to be the god of Islam. It will be Allah that Nero will (pretend to) worship, to gain the support of Islamic nations. Returning to the italicized portion of the quoted passage, notice that Antichrist will not only dole out positions of authority to those who submit to him, but also parcel out land. And not just land in general, but first and foremost the land of Israel. Later in this passage, we read that Antichrist will “enter the glorious land of Israel” near the end of the tribulation when he and his coalition are threatened by a leader (of several nations) from the south. 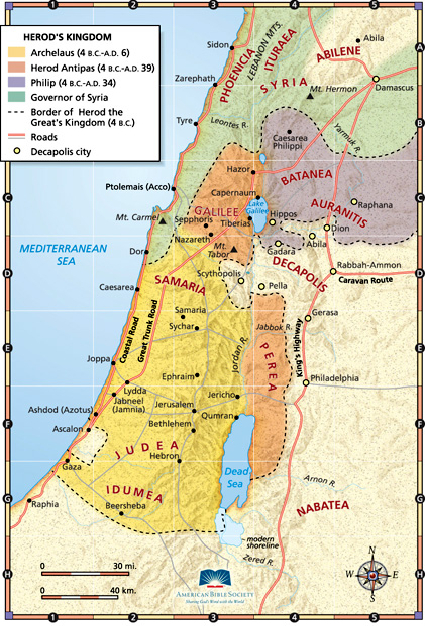 The entire chapter of Daniel 11 focuses on the land of Israel; as first invaded by Antiochus IV (2nd century B.C. ), then by an even greater king (Antichrist) during the tribulation. Other Biblical translations state that land (especially “the land” Israel) will be given by the ruler for “a price.” That price is not gold, silver, etc. Conversely, the passage says that it will be the ruler who distributes much of his treasure to this god of fortresses (Allah, Islam). In the immediate context of the passage as applied to Israel, the price paid for a partition (division) of Israel into two states are Palestinian/Arab concessions indirectly to Antichrist and directly to Israel, not the least of which is a rebuilt Jewish Temple. That will have already taken place early in the Tribulation with the seven-year treaty. Although most Israelis won’t “submit” (kowtowing with complete allegiance as do the Palestinians) to Nero, as a matter of expediency they will agree to the terms of the treaty. Otherwise, Israel wouldn’t be able to erect its Temple—something that will take precedence over every other item of negotiation in this treaty. If Israel can rebuild the Temple on Temple Mount and resume the long-lost sacrifices and offerings, they’ll certainly agree to a Palestinian State which will geographically and geopolitically divide Israel’s sovereignty into two-states. This passage concerns the Gog/Magog invasion of Israel, which will take place in the early part of the Great Tribulation, not long after the seven-year treaty. It also further confirms the probability (what I’m now convinced is a certainty) that this treaty will include a Palestinian State. A state that won’t last more than a few months, because all of Gog’s allies will be destroyed. Those from without Israel and those from within! And, excepting the rebuilt Temple, the implementation (logistics) of other treaty points will barely be underway when Gog invades Israel. “But this is what the Sovereign Lord says: ‘When Gog invades the land of Israel, my fury will boil over! In my jealousy and blazing anger, I promise a mighty shaking in the land of Israel on that day’” (Ezekiel 38:19, emphasis added). The Lord says much more in this chapter and the next about what he will do to the Magog coalition, as well as Gog’s allies “who live safely on the coasts” (Ezekiel 39:6). One of those allies currently occupies land along the Mediterranean coast … the Gaza Strip! I’ve sometimes wondered why God will cause “a mighty shaking in the land of Israel.” When, in fact, he will sovereignly protect Israel and defeat this massive alliance without Israel needing to fight at all. This shaking of Israel may be partially symbolic, but it will obviously involve physical phenomena. Such as (the physical) “summon the sword against you (Gog) on all the hills of Israel” (Ezekiel 38:21). *Note: Many of Israel’s hills are in Judea Samaria, currently occupied by the Palestinians of the (misnomer) West Bank. And the all too real, “disease and bloodshed … torrential rain, hailstones, fire, and burning sulfur” (Verse 22) that God pours out on this arrogant Gog/Magog confederacy. There’s nothing metaphorical about those calamities! Whatever form this shaking takes, I’m persuaded that the damage and casualties also will be directed at the Palestinian occupied territory, which by then will be a sovereign state. It very well could (and probably will be) a scenario like the ten plagues against Pharaoh and Egypt that did not affect the land of Goshen, where the Israelites lived. Also akin to some of the trumpet and bowl judgments during the Tribulation that strike only the Antichrist and his regime. There is a third passage to provide more confirmation of a Palestinian state after the Rapture. “At the time of those events, says the Lord, when I restore the prosperity of Judah and Jerusalem (that began with the rebirth of Israel in 1948), I will gather the armies of the world into the valley of Jehoshaphat (which means the Lord judges). There I will judge them for harming my people, my special possession, for scattering my people among the nations, and for dividing up my land” (Joel 3:1-2, italics for emphasis, parenthesis mine). If the Lord doesn’t totally dismember a Palestinian State during his astounding defeat of Gog/Magog, he will finish the task during the battle for Jerusalem (Zechariah 12 & 14), which is soon followed (within weeks or days) by the greatest conflict of all time—Armageddon in the Valley of Megiddo. The final “scattering my people among the nations” took place when Rome completely conquered Israel and destroyed Jerusalem in 70 A.D. Although the Roman Empire (secular) was subsequently punished by the Lord for the devastation of Israel and exile of the Jews, God’s final judgment of this ungodly empire will be against the religious Rome of today’s world during the Tribulation. Please see Eye of Prophecy trilogy: Shameful Saga of the Great City (Revelation 17); Cunning Makeover of the Great City (Revelation 17); Humiliating End of the Great City (Revelation 17). Posted 5-26, 6-2, & 6-9-18. Question: When was Israel divided? I’m guessing the immediate (but tentative) response by most would be: When the Jews were exiled by Rome? Or perhaps, I’m not sure but wasn’t Israel divided sometime in history? Historically Correct Answer: Other than when Israel divided itself into the northern and southern kingdoms in the post-Solomon era, Israel has never actually been divided by other nations, rulers, armies, or international entities. Not officially, not into anything approaching sovereign states recognized globally. The Balfour Declaration of 1917 and the UN Resolution of 1947 that called for a partition of “Palestine” which led directly to Israel’s rebirth did not (has not yet) resulted in dividing Israel … into two sovereign states. Reason: The Arabs rejected both proposals, which is why there never has been nor is to this day a Palestinian State. Bigger reason: It wasn’t (isn’t) yet God’s time for that to happen! When the Lord refers to Israel, particularly in the hundreds of Biblical end-times prophecies, it’s always as a nation. When he refers to Israel and Judah, it pertains to their end-times reunion. Much of Joel’s prophecy is clearly that of the end-times. God, speaking in the first person, emphatically says that he will judge those armies (with their rulers … think Gog/Magog, Antichrist, and their coalitions) who have divided Israel. This dividing of Israel early in the Tribulation will anger the Lord as much as Gog/Magog’s invasion shortly thereafter, and as much as Antichrist’s “entering the glorious land” a few years after that. God and His Word are amazing! What he says he will do, he does. What he says will happen, always happens. When God says he loves the whole world enough to give us His Son to pay the penalty of our sins, he means everyone—all inclusive. When God says that everyone must believe in His Son Messiah Jesus and personally receive his sacrificial atonement to be pardoned and inherit eternal life, there are no exceptions (John 3:16; Romans 9:9-10). It’s so good to be even a small part of the effort to: “Publish his glorious deeds among the nations. Tell everyone about the amazing things he does. Great is the Lord! He is most worthy of praise! (Psalm 96:3-4a). THE REBUILT TEMPLE! The Jews desire this even more than peace and the anti-Christ desires this even more than the land of Israel. For the Jews: The Temple will bring their much awaited Messiah, and thus peace! For the anti-Christ: The Temple will be where he will once again glorify himself above God.